Remote Desktop Audit is designed for monitoring the activity of users who access your servers via remote desktop. All information about remote desktop sessions across your servers will be collected in one place, thereby allowing for in-depth data analysis and providing valuable new insights. Thanks to data filtering and aggregation, you can raise the bar for data reports and view them in both tabular and graphical representations. The tool will also help you to detect failed logons and other suspicious events – which are often signs of hacker attacks. And even if a network incident occurs, Remote Desktop Audit will also be very useful for quick analysis and investigation. With Remote Process Explorer, you will be able to get the list of processes and will also be in a position to manage them. On a local or remote computer, users can kill a process, run a new one or change the priority of a process. In order to do this, you are not required to install additional software on a remote computer since the program uses the in-built functions of the operating system. With Remote Process Explorer, you will be able to see complete information about each running process. It will also indicate the time the process began, the user who started the process the path to its executable file as well as the amount of memory and CPU it uses. This information is available in the Task Manager and can be obtained for a local as well as a remote computer. 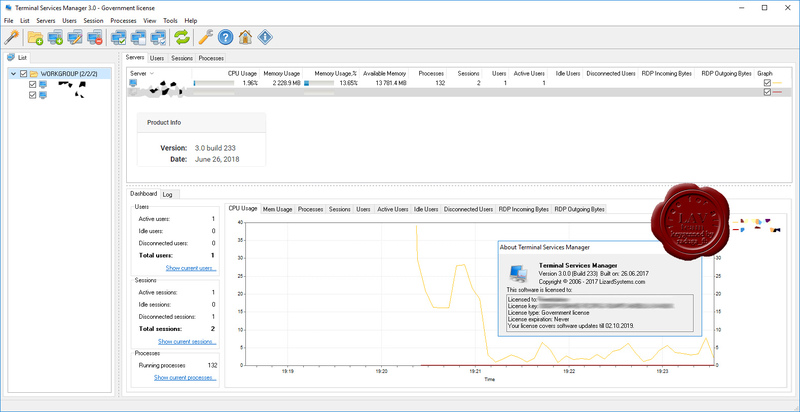 For managing a remote computer, Remote Process Explorer has in-built tools built that it uses. Terminal Services Manager shows which user is connected to the remote host, what processes they are running, and how much of the server resources (CPU and memory) they are using. You can send users messages, disconnect them from the server, or connect to their sessions remotely. With Terminal Services Manager you can send bulk messages to users, disconnect idle users, and end sessions of multiple disconnected users simultaneously. Terminal Services Manager allows you to work with several hosts at once. 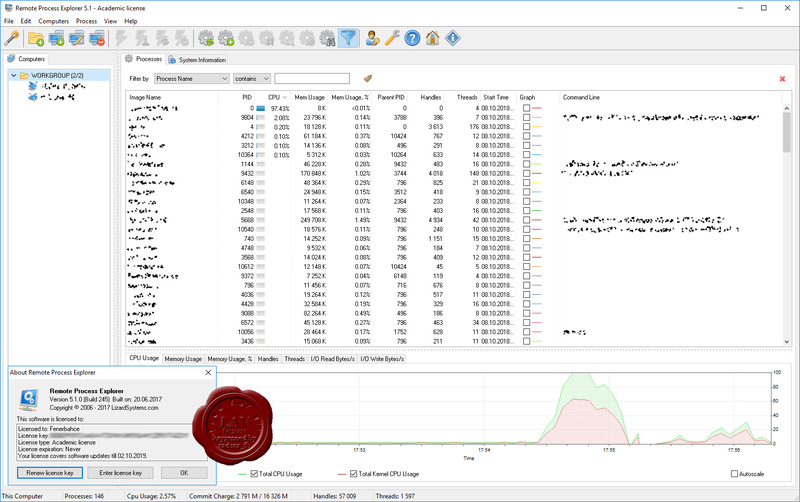 Terminal Services Manager displays information in both table form and by drawing graphs of the usage of CPU, memory, and other resources over time for each server, session, and user. Wi-Fi Scanner allows you to easily locate visible wireless networks and its corresponding information. The tool obtains the network name (SSID), signal strength (RSSI) and quality, MAC address (BSSID), channel, maximum and achievable data rate, security, and much more. Wi-Fi Scanner is useful for normal access point users who need to find out the signal strength distribution for their wireless network at home, or choose a position for their access point for optimal signal quality. 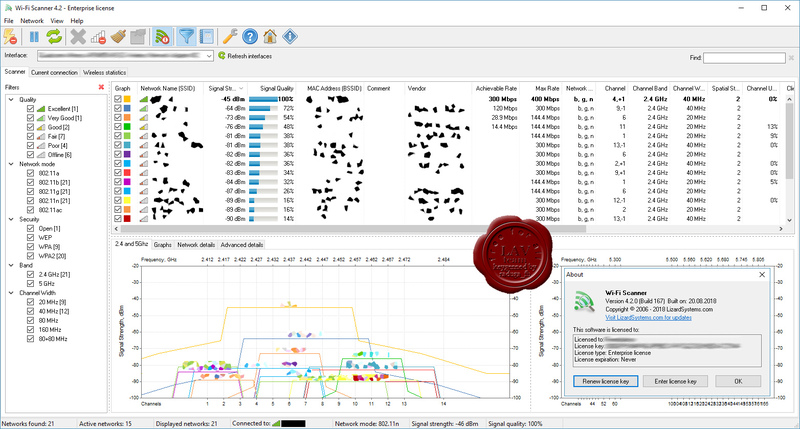 Using Wi-Fi Scanner, you can evaluate the allocation of wireless networks by channel and select the least congested bandwidth for their access point, allowing them to increase their connection speed significantly. In addition, Wi-Fi Scanner is an indispensable tool for corporate network administrators in performing tasks such as configuration, planning and monitoring security parameters on business wireless networks. 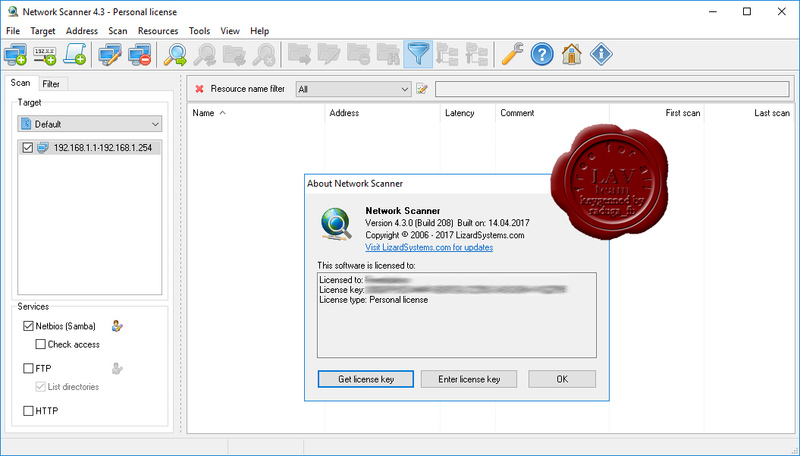 Network Scanner is an IP scanner that is used for scanning both large corporate networks that have hundred thousands of computers along with small home networks with several computers. While the program can scan a list of IP addresses, computers and ranges of IP addresses, the number of computers and subnets is unlimited. Network Scanner will show you all the shared resources, including system and hidden NetBIOS (Samba) shared resources along with FTP and web resources. To audit network computers or use it to search for available network resources, both network administrators and regular users can use Network Scanner. 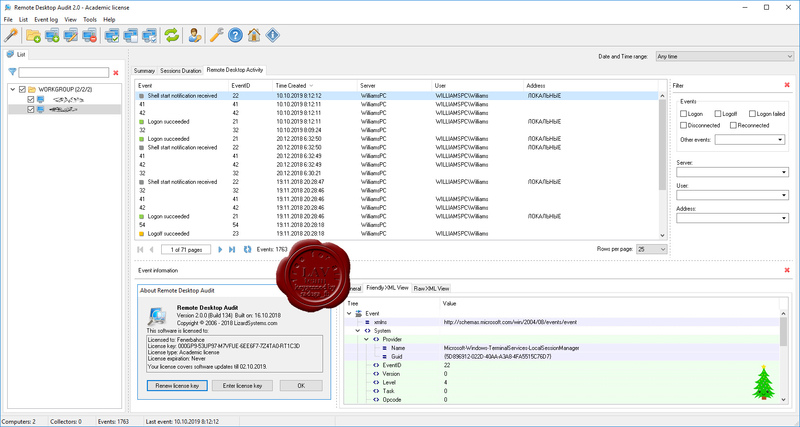 Network Scanner will not only find network computers and shared resources, but also check its access rights which the user can mount as a network drive or open them in Explorer or in their browser. You can easily export the results of scanning the network to an XML, HTML or text file or store them in the program itself.